Dr. John P. daniels, 47, of 699 S. Greenwood Ave., Palmer Township, died Sunday (August 31, 1986) at Easton Hospital after being stricken in his home. A chiropractor, he maintained a private pratice in Easton, where he last worked on August 29. He also served as a consultant on the utilization review board for the Pennsylvania Department of Public Welfare. Born Jan. 14, 1939, in Easton, he was the son of Jean Cianci Ehly of Palmer Township and the late John Longdon Daniels. 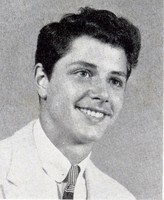 A 1956 graduate of Easton High School, he attended Black Hawk Community College in East Moline, Ill., in 1963 and Muscatine Community College in Muscatine, Iowa, from 1963 to 1965. He recieved his degree feom the Palmer College of Chiropratice in Davenport, Iowa, in 1966. He also took refresher courses on medical terminology at Northampton County Area Community College in 1976. A member of the Easton Area School Board from 1971 to 1977, he served as president from 1973 to 1975. He also was a member of the board of directors of the Eastern Northampton County Vocational-Technical School from 1976 to 1977. He was past president of the Lehigh Valley Chiropractic Society; a member of the Pennsylvania Chiropratic Society "Pennsylvania Club"; and the Parker Chiropractic Research Foundation. He was past vice president of the Nursing Service Advisory Committee for the associate degree regestered nursing program and the certified pratical nursing program at Northampton County Area Community College. He was a member of the board of directors of the Pennsylvania Statewide Health Coordinating Council and of the Eastern Pennsylvania Health Systems Council Inc., and a former member of the Eastern Pennsylvania Comprenhensive Health Planning Board. He was a member of St. Jane de Chantal Catholic Church in Wilson, the Palmer Township Democratic Association and the Kiwanis Club of Palmer Township. He was a former member of the board of WLVT-TV Channel 39, and the Northampton County March of Dimes. He served with the U.S. Air Force. He was an officer, announcer and trainer for the Palmer Township Athletic Association. Surviving in addition to his mother are his wife, the former Francine Piperata; three sons, Jonathan of Allentown and Kevin and Christopher, both at home; two step sisters, Dawn Kaniper of Raubsville and Melody Gross of Emmaus; and his stepfather, Melvin Ehly of Palmer Township. The funeral will be held at 9:15 a.m. Thursday in the Morello Funeral Home, Easton, followed by a Mass of Christian Burial at 10 a.m. in St. Jane Frances de Chantal Catholic Church. Interment will be in Northampton Memorial Shrine, Palmer Township.